It’s the funniest four hours you’ll get on the radio….Weekdays from 5am – 9am on the Hawk! Including THE HAWK CLASSIC ROCK REQUEST LUNCH.in the Noon hour. Richard plays an hour of all requests. After a long day at work, we’ll get where you want to be with Randy’s Ride Home. Up late? Jeff Adams “The Warrior” has you covered with the tunes. 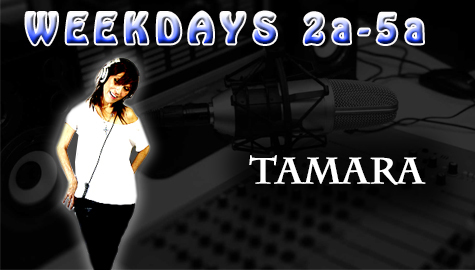 Tamara also keeps you up to date on Hawk stuff during the Bob and Tom Show. 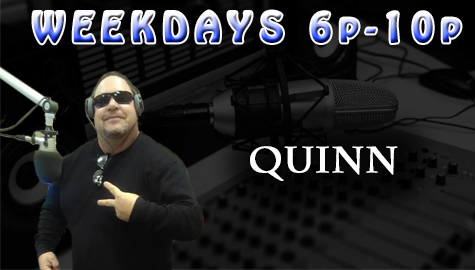 Kashmir rocks your Classic Rock Block Party Weekends on the Hawk! Get your fix of Classic Rock’s Greatest Band every night at 7p on the Hawk! Each Saturday Night, the Red Rocker selects a category and counts down his favorite tunes!